In the world of social media, it can be easy to get caught up in the constant expectation of receiving. How many likes will I get? How can I attract more followers?, etc. This is especially apparent when thinking of giveaways. Oftentimes the automatic response is “what’s in it for me?”, which, to be fair, is a given…hence the term “giveaway”. It is an offering directed at you, which can be a really beautiful thing. Let’s be real, who doesn’t love winning a giveaway!? It obviously makes any day 10x better and we’re all about adding that kind of sunshine into our lives. In the MalaRae office, we’ve been recently thinking about what it would look like (and how it would feel!) to shift the focus from receiving to giving. Our ultimate goal is to spread love within the community, as opposed to demanding it. Now we’re not just talking material things…because gifting someone a mala does not equal love. As with anything, it’s the intention behind it that matters. The energy surrounding it runs much deeper than just the physical gift itself. Giving can come in any form – whether that be a “Good morning, hope you have a great day!” or buying coffee for the stranger behind you in line. The end result is the same. What you give out, you receive –tenfold. Even if you don’t believe it, there’s no denying that the feeling you experience whilst giving can feel as good as receiving the gift yourself. It only makes sense that in order to receive in abundance, you also have to be willing to give in abundance. If you tune into it, the cycle of abundance is actually quite simple. Inhale oxygen and exhale CO2. Express gratitude for what you have and work hard to attract more of what you want. Embody generosity and alignment (because sometimes, giving doesn’t feel right. And for good reason depending on the circumstance). So spread kindness like confetti, give, and then give thanks for what’s to come. We truly believe that G I V I N G makes the world go round. In light of that, we have put together a very special giveaway for you! We are making the physical gift-giving an ease-FULL practice and turning the tables for this giveaway to give you the opportunity to give to someone else. 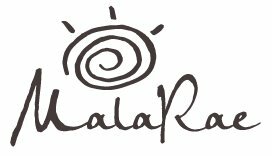 Tag someone you love, tell us why you love them, and they will be entered for a chance to win a $25 MalaRae gift card! Head to either the MalaRae Instagram and/or Facebook accounts and check out our latest posts for all the details. Giveaway contest runs until midnight EST January 16th, 2018. You love the people in your life, and we love that you’re in our life. You’re grateful, and so are we! In the spirit of GIVING, we’re also offering you a special store wide 25% off sale until Wednesday, January 17th. Use code GIVING at checkout (not applicable to custom designs). What are your thoughts on giving and receiving? We love connecting, so feel free to share in the comment section below.